Pakistan Prime Minister Shahid Khaqan Abbasi has said that Islamabad wants positive and constructive relations with its neighbors on the basis of sovereign equality. "Pakistan desires positive and constructive relations with all the countries of the world, especially with its neighbours on the basis of sovereign equality," Abbasi said in his address to the nation on the occasion of Pakistan's 70th Independence Day. "The people of South Asia have suffered enormously in the last fifty years due to the festering conflicts. Until and unless those conflicts are resolved amicably, the people of the region cannot achieve prosperity and progress," he added. 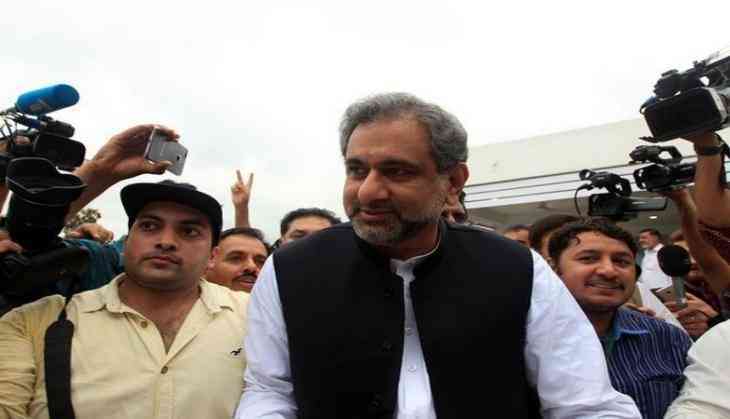 Abbasi's remarks holds importance as tensions between India and Pakistan are running high amid spree of ceasefire violations and cross-border infiltration from Islamabad's side. Relations between India and Pakistan worsened after several terror attacks including one on an Indian military base in Uri and also on an Indian air force base in Pathankot. The situation between both nations further deteriorated after a Pakistan military court announced a death sentence to former Indian Naval officer Kulbhushan Jadhav. Relations between the two nations have been particularly worsened after the 2008 Mumbai attacks by Pakistan based terrorists.